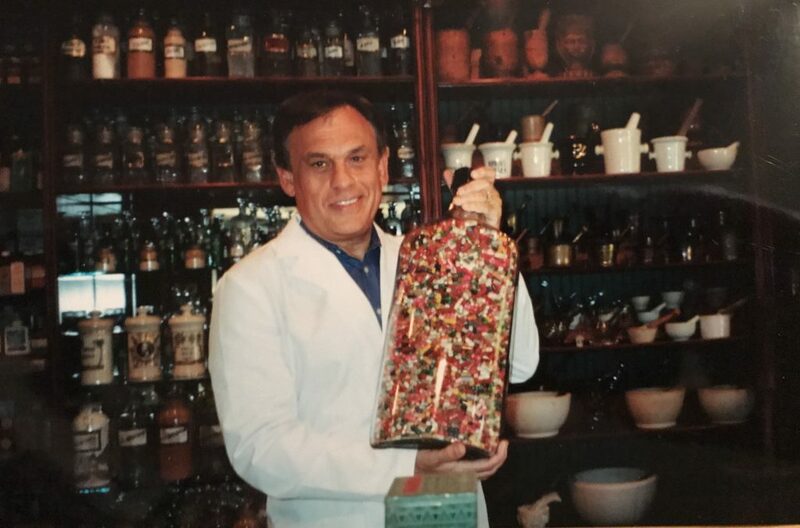 I have been collecting Pharmacy Antiques for the last 40 years. I believe that we need to preserve the past and remember where we came from. Here is a 50 year old collection of Capsules of every size, shape and color in a 2 ½ gallon RX Bottle. This bottle adorned my pharmacy for many years and was always a conversation piece. I wouldn’t want to open it for the smell would be enough to make you faint!